This easy quiche Lorraine with caramelized onions and sautéed Swiss chard is incredibly simple but also incredibly satisfying. My older son asked me so nicely to please make THREE of them this time so he could have his own. Alas, my food processor can only handle enough dough for two pie crusts at a time so he was out of luck. Next time, buddy. And, if you are not inclined to make your own dough, store bought dough works great, too! I try to grab a couple gluten-free frozen pie crusts if I see them on sale. 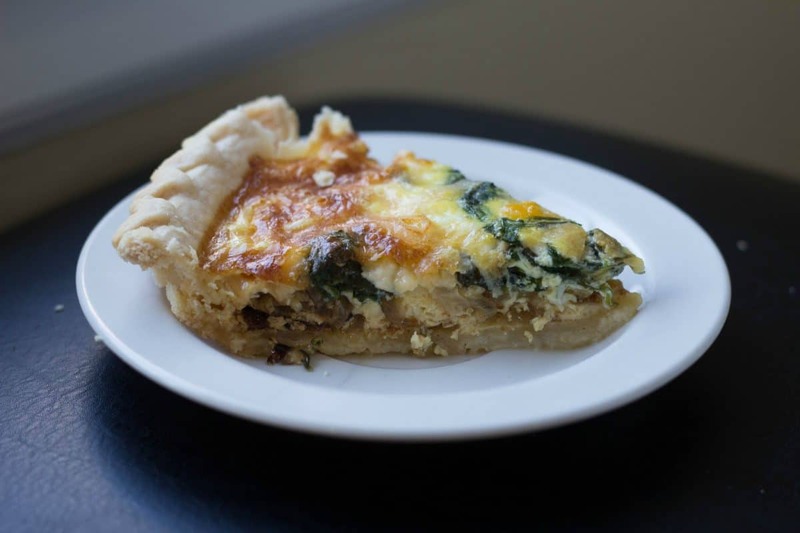 Photos below – quick quiche thanks to Whole Foods frozen gluten-free pie crust! 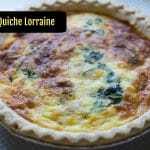 A quiche Lorraine is pretty straightforward – you will need ham, cheese, onions and some greens for filling. If you don’t have any ham or you don’t like ham, this quiche is excellent as a vegetarian version – just leave out the ham. For the custard, you need half and half and eggs. I like 1/4 cup of milk (or cream, or a combination) for every egg. I have so many pie pans and they are all different sizes so think about your custard recipe as flexible – sometimes I am whisking together 3 eggs and 3/4 cup of milk, other times I have 4 eggs and 1 cup of dairy. To make an amazing quiche, you must have amazing filling. 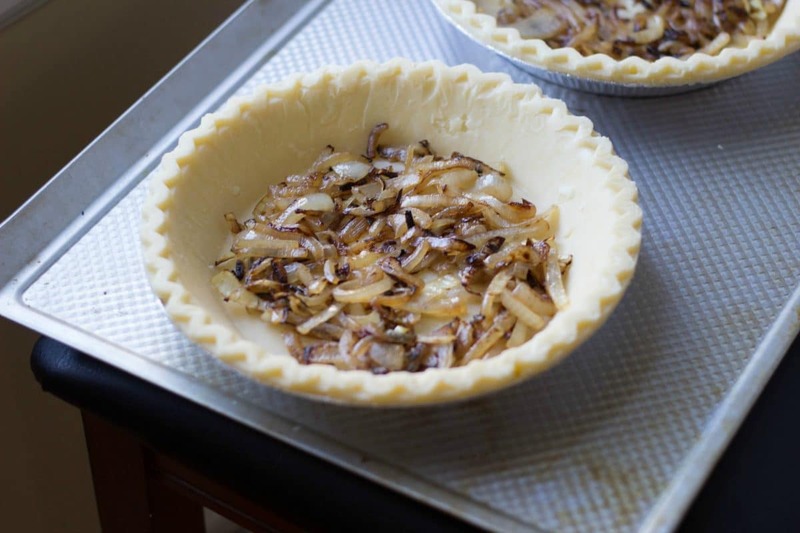 Saute your onions and garlic and greens with some salt, add your chopped ham (if using), and then spread that filling evenly in the bottom of your pie crust. Add some cheese – I have used bagged, shredded, whatever is leftover in my fridge and it always works out just fine. 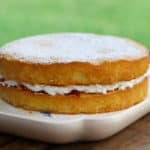 For the final step, whisk together your cream or milk and eggs with some salt and pepper and pour evenly over the filling and cheese. Done. That’s it. 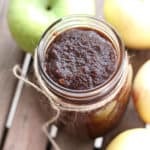 If you’ve got pre-made pie crusts in your freezer or fridge, you really can’t make a more delicious dinner any easier. 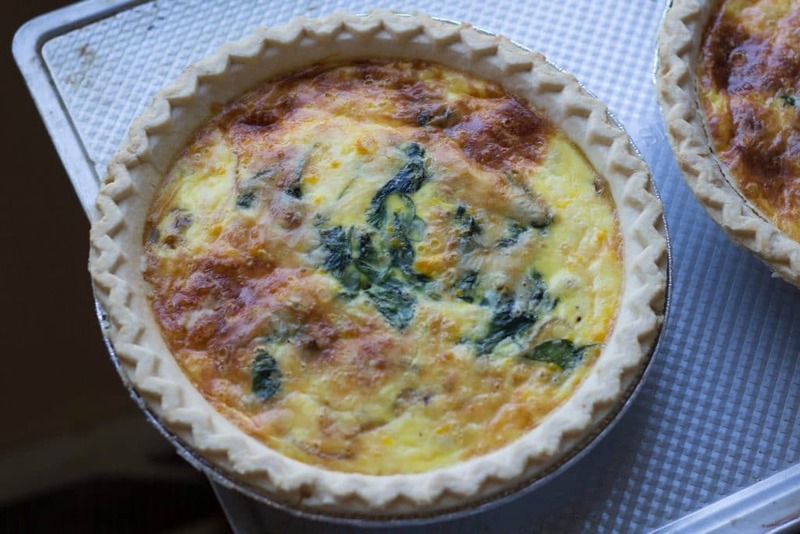 Serve your quiche warm or at room temperature. 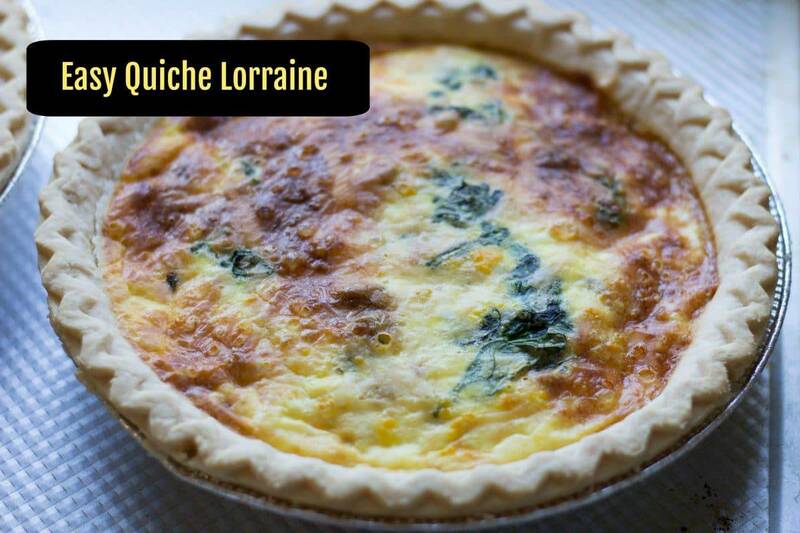 Quiche goes really well with a side of crispy garlic broccoli or an arugula salad or sliced fruit. No rules. My only rule on quiche night is that I am not going to the grocery store. My family really likes their quiche well done. We don’t go for runny egg quiche experiences. So, if you prefer a looser quiche, maybe don’t cook yours as long as I like to cook mine. 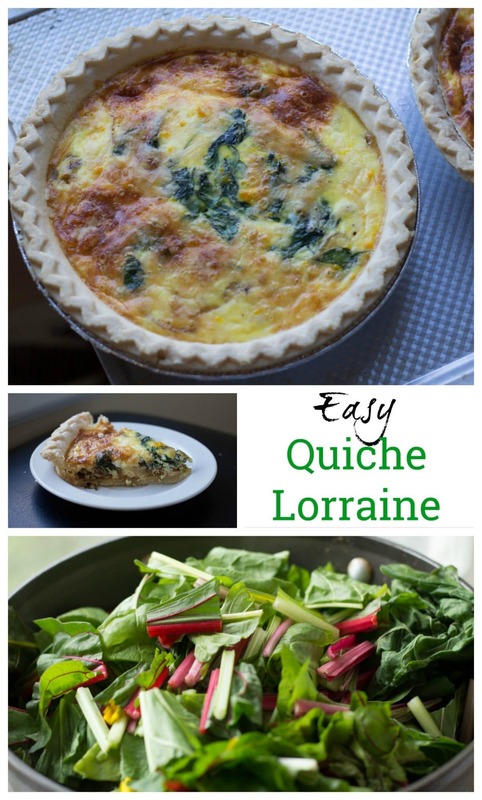 This easy quiche Lorraine with caramelized onions and sauteed swiss Chard is one of my favorite weeknight or weekend meals. Saute onion in olive oil until caramelized. Put in the bottom of your crust. 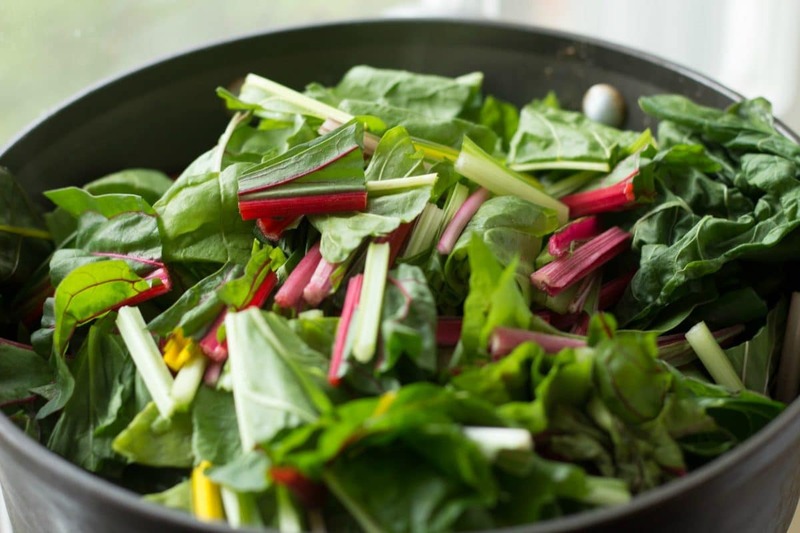 Saute swiss chard. Add to pie crust. Top with shredded cheese. 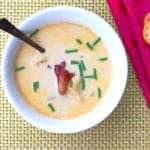 You can use any cheese you have on hand - Swiss, cheddar, gruyere - or any combination. Whisk together eggs and milk and cream. Add salt and pepper. Pour over onions, chard, and cheese. Cook quiche on a cookie sheet in a 425 degree oven for 15 minutes. 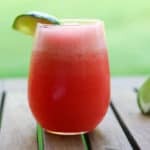 Reduce heat to 325 degrees and cook for about another 40 minutes. Remove from the oven and serve hot or at room temp. 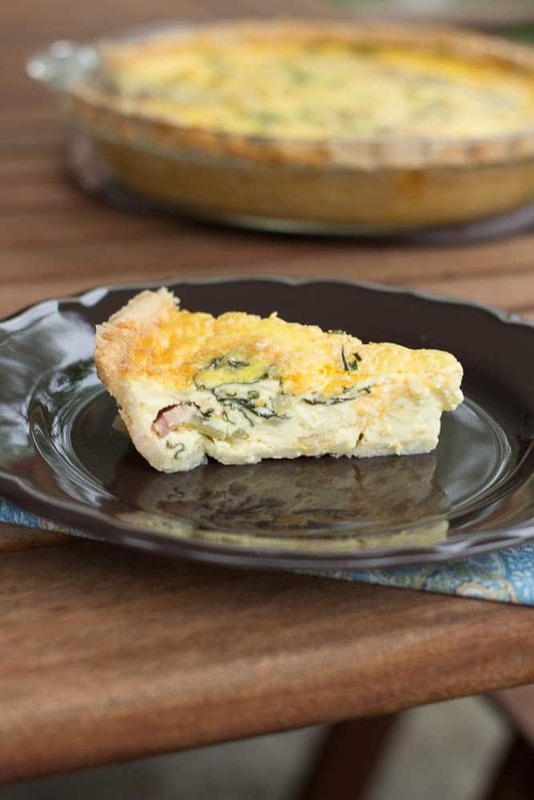 The quiche will keep well in the refrigerator on the off chance that there are leftovers. What’s your favorite quiche filling? Give me some new ideas!